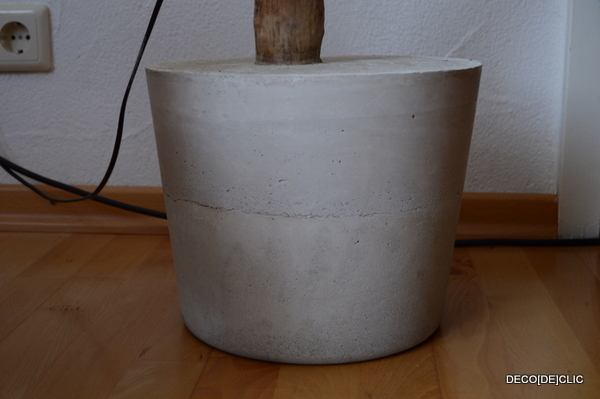 Advice: fill totally the bucket with cement to be sure that your lamp will not fall down. 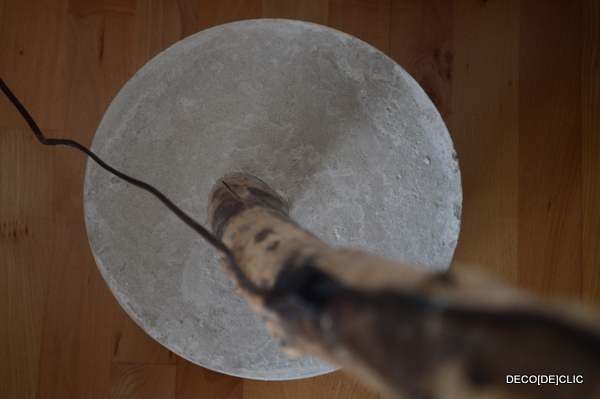 Let it dry for 3 to 5 days and add a little bit of water on the top everyday to avoid that the cement breaks. – for the lampshade : cord, glue, some water and an XXL balloon. 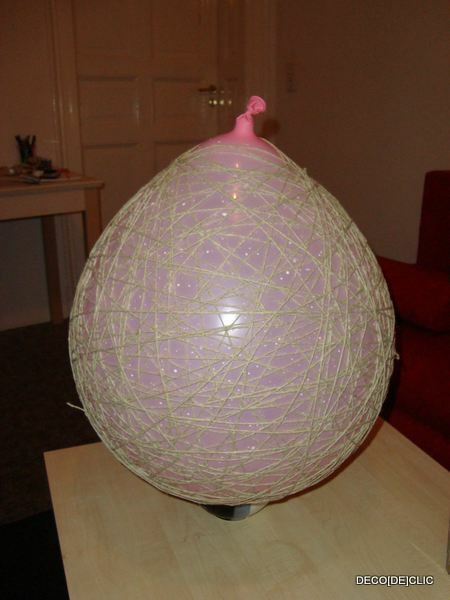 Inflate it (not too much) and surround it with the cord you previously soaked in the glue mixed with a little bit of water. Advice: do not press the balloon with the cord if you do not want it to blow up. You will have to wait a night until it is dry. Then you just have to blow up the balloon with a needle. – for the electrical installation : an electric cable with 2 poles, an integrated switch and lamp socket. 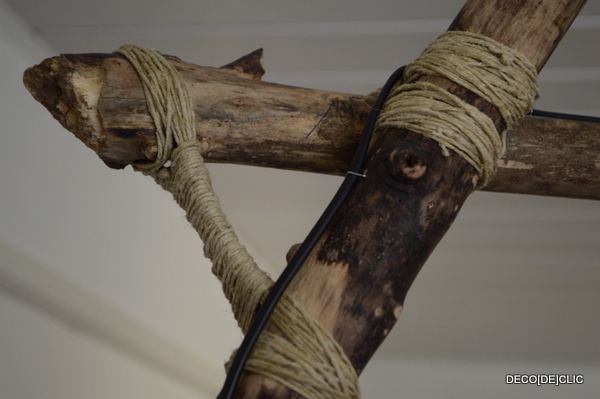 Staple the cable on the branches every 15 cm (do not break through the electric cable). Advice: put grease-proof paper in the lampshade to subdue the light.